This STITCH FUN class is for 4, 5, and 7 Series machines. Stitch fun is the second mastery class for BERNINA owners. In this 4 1/2 hour class you will learn the many creative options of your machine. This class gives hands on experience using the function buttons, pattern begin/end, pattern repeat, etc. Machine needles, the Bernina website, and the WeAllSew blog will be discussed, plus any other topics on your mind. 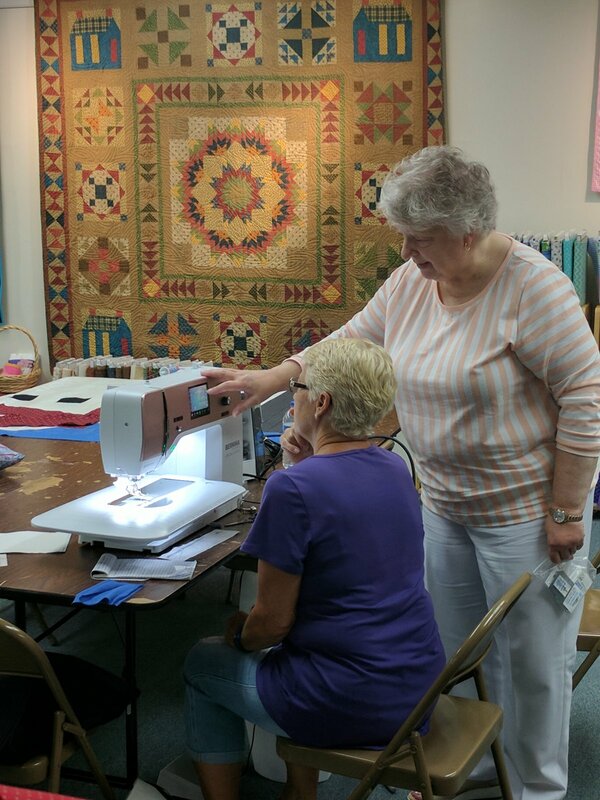 Class exercises includes creating a quilt label, using twin & wing needles and finally using their BSR This class is free to those who purchased their BERNINA from The Quilt Block. (Contact us for information and pricing if you purchased your BERNINA somewhere else!). Please bring your machine, owners manual and accessories, power cord, foot control, scissors, and high quality cotton thread.